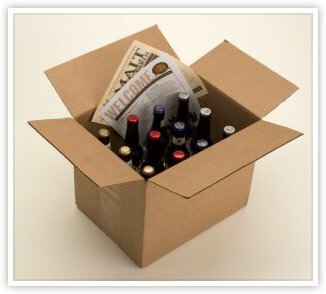 Prior to 1994, the phrase "Mail-Order Beer" was generally limited to a handful of eclectic wine and beer shops that occasionally shipped a bottle or two of their rare microbrewed creations. While there was a "Beer-of-the-month-club" model sending its members a case of beer each month way back in 1950, the Mail-Order Beer industry or Beer of the Month Club concept as many refer to it, exploded in the early 1990s. Since that time, more than 50 beer clubs emerged and quickly disappeared for many of the same reasons that most small businesses fail: under-capitalization, ill-conceived marketing plans, and overzealous sales projections, to name a few. Some of the more colorful club names that came and went include: The Beer Scouts of America, BrewTapp, Microbrew Express, Beers 2 You, The North American Beer Odyssey, The Foggy Bay Beer Club, Mail-Order Beer Express, Ale by Comparison and our personal favorite, simply…"Beer Club"! 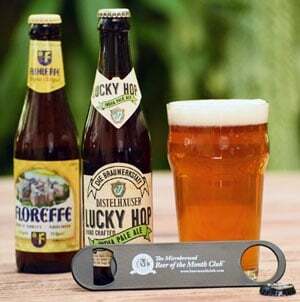 The Microbrewed Beer of the Month Club was founded in 1994 as C&H Clubs USA, Inc. by Kris Calef and Greg Hall, two senior account executives at IBM. The company’s name was based on the club’s founders’ initials. Both men were determined to test the free enterprise system and apply their considerable sales and marketing talents to a new venture. Kris & Greg settled on an opportunity to market a monthly subscription service or club that delivered handcrafted, microbrewed beers to beer aficionados. Our first offering was the U.S. Microbrewed Beer of the Month Club, which focused on the domestic craft beer market by offering two six-packs from two different US breweries in each shipment. The strategy was so successful that three additional beer clubs were launched over the years: The International Beer Club, the U.S. & International Beer Club, and the Hop-Heads Beer Club. In 2008, the company acquired The Rare Beer Club and now provides the most exclusive beer of the month service available in the industry. The Rare Beer Club complemented our three existing services by offering our customers a high-end gifting price point, and the finest and most exclusive beers in the world for true craft beer enthusiasts. The club focuses on artisanal, hand-crafted, celebratory, and rare beers, many of which are either vintage offerings or will lend well to aging. Featured beers hail from countries with strong brewing traditions, like Belgium, Germany and England, as well as from the rapidly expanding U.S. microbrewing market. The club includes many experimental and imperial beer offerings that boast bolder hop and malt profiles, as well as larger ABVs than those found in traditional styles. The club features two beer styles each month in 750ml bottles (one each from two different breweries), and is available in 2-, 4-, and 6-bottle per month formats. Since 1994, we’ve expanded our consumer offerings to include five other monthly clubs, including international wines, handcrafted cheeses, gourmet chocolates, premium cigars, and fresh-cut flower bouquets. From the very moment that our corporate charter to create a beer of the month club second to none was drafted, we established our service as one that was truly differentiated. The same core values and key success factors outlined below have been applied to the launch of each new product line. From the very moment that our corporate charter to create a Mail-Order Beer Club second to none was drafted, we established our service as one that was truly differentiated. Quality - We've been conducting our beer panel nights, headed by two of the more widely respected Masterbrewers in the industry, every other Monday at a local brewpub since 1994. Many claim to do the same. We actually do it. And Enjoy it! It truly separates us from the rest, as the beer tasting panel is a tough audience to please. Typically, less than 30 % of all rated beers are approved to be featured in our service. Check out our Sour Notes From the Panel page for some of the more colorful panel commentary of a few of the somewhat less than worthy beers evaluated over the years. Variety - Many clubs offer the standard format of two 6-packs featuring only two beer styles each month. Some send twelve bottles of the same beer. We always feature two different beer styles from two different breweries, offering four distinct beer styles in each shipment. In addition, we pay great attention to offering variety with respect to where our featured selections are brewed, both within each shipment as well as from month to month. Every beer featured is brewed to order for our members just weeks before you receive it. Random samples are evaluated again after we've taken delivery to ensure freshness and that the beer delivered is in fact of the same quality of the samples approved earlier by our panel. We focus on beers with higher hop acidity, higher alcohol by volume percentages and generally more durable styles in the warmer months of the year so they'll travel better. Our packaging nearly encapsulates each beer with environmentally friendly recyclable pulp trays. Rare, Hard-to-Find Selections - We go out of our way to find undiscovered breweries representing the entire country. 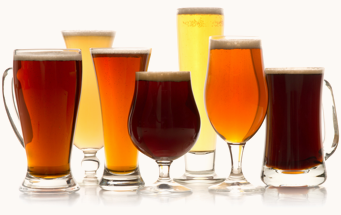 Additionally, we focus on seasonal beers such as bocks, Hefeweizens, pumpkin ales and spiced winter ales that are limited production batches, only produced once a year and distributed lightly. A Fun, Informative Newsletter Second to None - Simply put, our monthly newsletter is unmatched by our competition. Each edition describes the history of each featured brewery, the background of its brewmaster, how each beer is made, and tasting notes detailing what you should look for when trying them! Our highly trained Australian Sheepdog, Murl, has a longstanding column since our inception where he answers tough beer related questions in his own special way. According to our members, "Ask Murl" is, hands down, the highlight of our newsletter! Although the Mail-Order Beer Industry has changed dramatically over the years, we still offer unmatched quality, variety, and freshness coupled with a partnership attitude in customer service with each and every one of our members. Thank you for visiting our site and taking the time to read about why we think we're the best. Learn more about the history of mail-order clubs and the other subscription boxes we offer below.